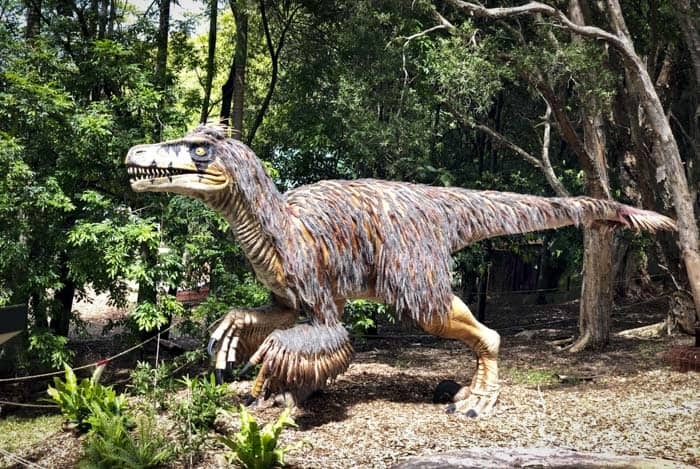 Dinosaurs stomp into Sydney's Taronga Zoo! 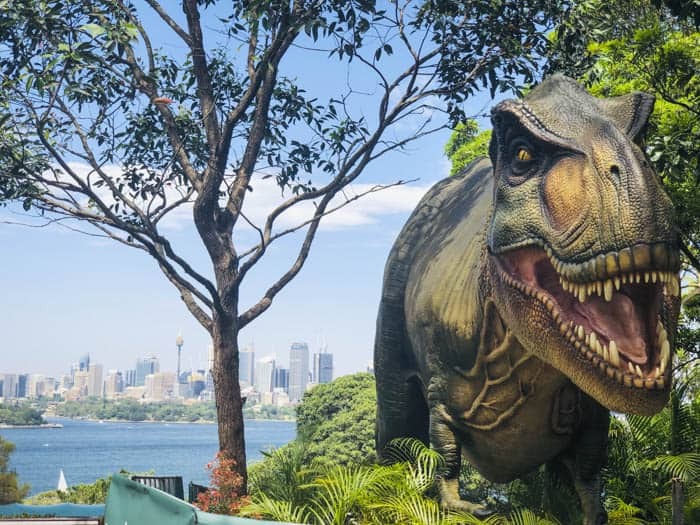 Home » Sydney Kids Activities » Dinosaurs stomp into Sydney’s Taronga Zoo! Taronga Zoo Sydney’s Rise of the Tarongasaurus is an exciting new attraction for the whole family to enjoy. It features 10 incredible, life-sized animatronic dinosaurs, including a fearsome Tyrannosaurus Rex and a spitting Dilophosaurus. Following the Dino Trail is a very exciting experience for families with young and not so young kids. The roaring and the movements of the dinosaurs looked incredibly real and amazed my daughters. The zoo provides you a map with the ticket entrance. Keep your eyes peeled and your ears to the ground as you go in search of these amazing prehistoric creatures in Zoo grounds. And watch out, you might find some spitting dinosaurs, too. Taronga’s Dinosaur Keepers offer talks twice daily, at 10:30 am and 2:30 pm. They entertain kids and adults alike with cool Dino Facts, plus you might also have the chance to pat a baby Triceratops! Also, the zoo volunteers that work at Tarongasaurus were incredibly kind and helpful. You will find volunteers along the Dino Train who are always keen to assist you. Also, kids will enjoy the Fossil Dig activity and getting a selfie on the climbable Pachyrhinosaurus dinosaur. Taronga Zoo Sydney tickets purchased online are discounted 10% compared to the gate price. 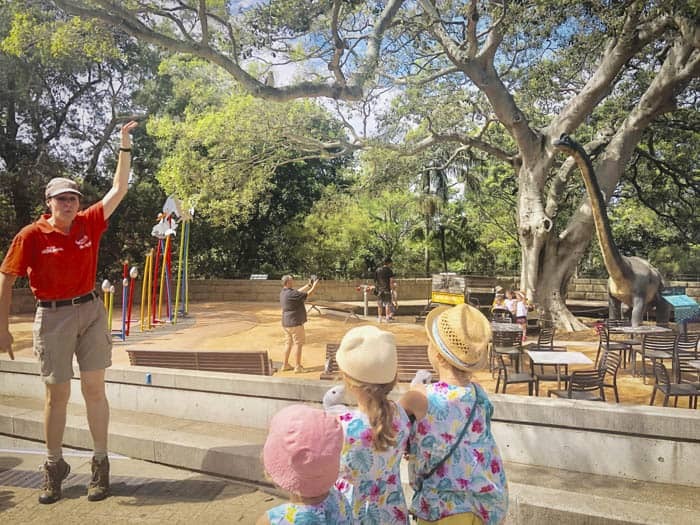 If families plan to visit the Zoo more than twice a year then a Taronga Zoo Friends annual membership is a great way to see our animals and dinosaurs again and again. Taronga Zoo has revolutionised memberships so that when one adult or a concession annual pass is purchased, you can nominate two children to join you for free! 365 days of unlimited entry for one adult and two children to Taronga Zoo & Taronga Western Plains Zoo now costs $110 at the gate or $99 online. Taronga Zoo Sydney’s Rise of the Tarongasaurus is a fantastic activity to surprise your kids during school holidays, or even buy tickets for a Christmas present. 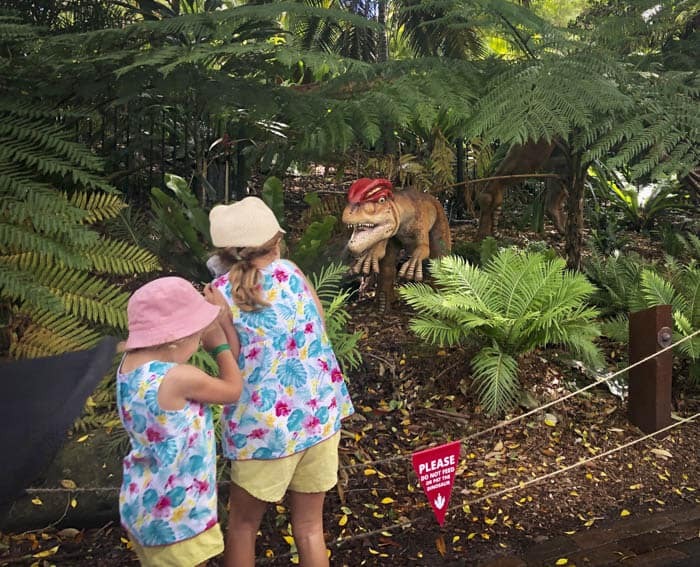 Follow the Dinosaur Trail at Taronga Zoo Sydney and be amazed by the life-size, moving, roaring and even spitting Dinosaurs! From Triceratops to T-Rex, Brachiosaurus to the fearsome new Utahraptor, the whole family will enjoy learning about interesting dinosaur facts. 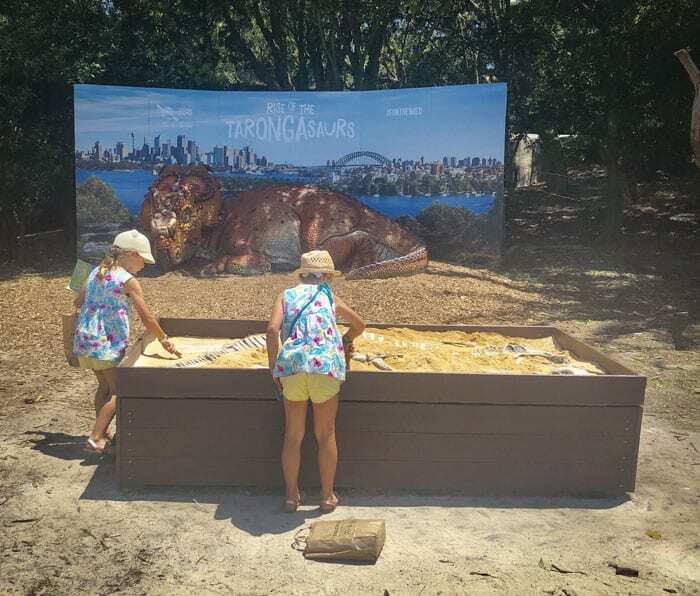 Taronga Zoo Sydney’s Rise of the Tarongasaurus is included for free with Taronga Zoo Sydney entry, but the dinosaurs can be seen only until 3 February 2019, when they once again become extinct. Public Transport: check Taronga Zoo’s web page for details. Parking is available at Taronga Zoo Sydney, entry from Bradleys Head Road. The all-day parking rate is $18. There aren’t lots of spaces. Further, you can find street parking but you will have to walk 10 minutes. Or if you prefer, there is the multi story Taronga Zoo car park. We had a memorable day at Taronga Zoo. Thanks a million for hosting us. We loved the Rise of the Tarongasaurus.